Question to Radhanath Swami: It is said we should seek out the association of people with positive attitude so that we can also develop a positive attitude. Sometimes it is very hard to find such positive association. What do we do in that situation? How do we develop our positive attitude? Radhanath Swami Answers: Jesus said, “Seek and you shall find.” And even if you can’t find that association, you can get it in positive books, and you can get it in positive tapes (recordings of spiritual discourses); you can get it in corresponding with positive people. At the same time, whenever possible we should strive to be in the physical association of positive people. I know somebody who was living in a completely faraway place. He was working a very dangerous job. He was a welder – burning steel and forging it into other pieces of steel. He was working on very, very highly dangerous petrochemical plants for years, fixing things way up many stories high on highly explosive facilities. He was working in those situations. 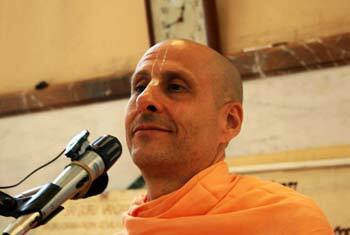 He never met a devotee; he did not even know devotees existed. But he had one book, Bhagavad Gita. 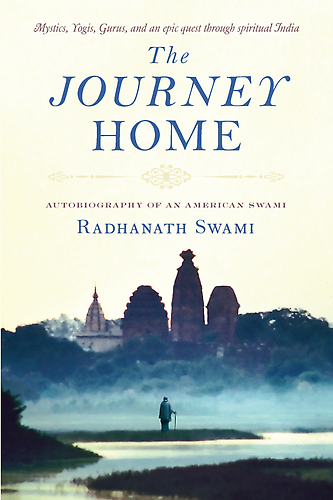 He immersed himself so much in that ‘Bhagavad-Gita As It Is’ that his whole life transformed. He gave up all bad habits. He was chanting Krishna’s name throughout the day. This is a true story. One day he was just at a Laundromat, a place where you get your cloths washed. He was eating a watermelon and he was spitting the seeds into the garbage bin. Accidentally the watermelon slipped out of his hand and went into the garbage bin. He did not want to lose that watermelon. So he reached into the garbage bin and picked up that piece of watermelon right out of the garbage. 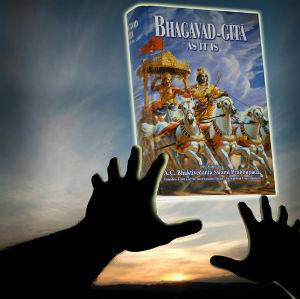 But when he looked at it, there was ‘Bhagavad-Gita As It Is’. So he thought, “God wants me to read this.” So he started reading it for couple years. That was his only association, one book. Then he became saintly, gentle and humble. He was intoxicated with Krishna. So positive attitude means to be grateful for what we have, to be grateful for whatever God gives us. That’s enough, if we are just sincere and earnest. So association is there, if we look for it and we want it.